"We believe that this is the first documented accidental secondary extinction of a mosquito," said the paper's co-author Hillary Young, an associate professor in UC Santa Barbara's Department of Ecology, Evolution, and Marine Biology (EEMB). "We hypothesized that Aedes was eradicated from Palmyra primarily because its persistence depended on taking blood meals from rats." Young's earlier research on Palmyra's terrestrial systems produced a large data set that predated the rat eradication. 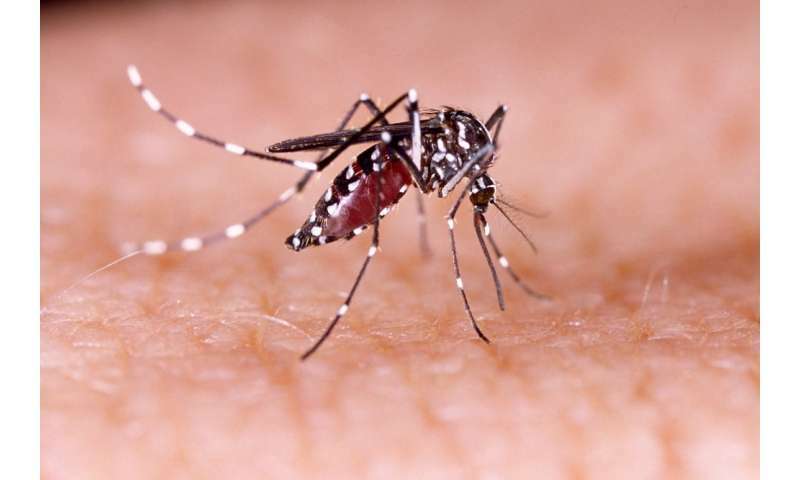 Evidence for the presence of the Asian tiger mosquito prior to eradication efforts included surveys of insects with black-light traps and anecdotal observations from bitten researchers. After the rats were gone, Young and a team of UCSB researchers intensified their mosquito survey efforts to include highly effective scent traps but were unable to locate even a single mosquito. They also surveyed visitors to Palmyra to see if they were still reporting being bitten by this aggressive and conspicuous day-biting mosquito. They were not. Two years of mosquito surveillance without success met the World Health Organization's standards for their eradication. "Normally we mourn species losses, but without introduced rats and mosquitoes, Palmyra Atoll is as close to paradise as you could imagine," explained lead author Kevin Lafferty, an USGS ecologist and an adjunct EEMB faculty member at UCSB. "Eradicating mosquitoes by eradicating a key host provides a relatively unexplored way to combat the diseases mosquitoes transmit," Young said. "Our case study highlights this potential for synergies between public health and an increasingly common conservation intervention."